It's a step in the right direction for Universal Windows Apps. Please try to contain your excitement: Microsoft will reportedly begin seeding Windows Insider builds with support for the long-awaited Edge browser extensions in the near future. Yawn. But if you’re a gamer, there might be some good news here. The rather blah news about extensions to Microsoft Edge comes courtesy of Thurrott.com, which also struggled to muster enthusiasm for a feature that has been present on competing browsers for over a decade. 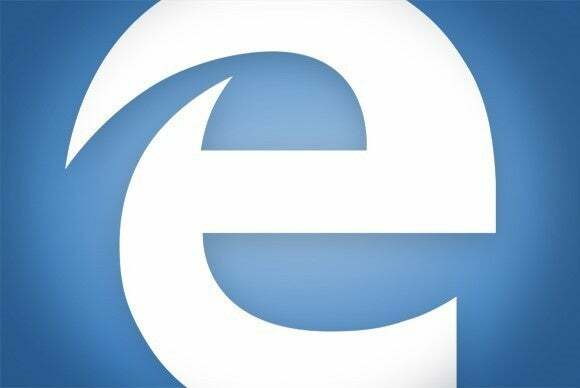 When Microsoft shipped its Edge browser as part of Windows 10, extensions were glaringly missing. Also known as plug-ins, extensions are bits of code that add functionality to the basic browser. When Microsoft announced its Edge roadmap last year, its developers showed off three extensions: the Reddit Enhancement Suite, Pinterest, and a click-to-call Skype extension. Normally, people associate extensions with utilities like LastPass password management or ad-blocker AdBlock Plus. The problem, of course, is that Google Chrome has supported plug-ins since 2010, Firefox since 2004, and Microsoft’s Internet Explorer since version 5 in 1999. Granted, the notion of a plug-in has evolved since then, but the fact remains that other, already more popular browsers have included these features for years. We called out Edge as a major weak point of Windows 10 in our original review of the OS, and while the browser's stability has improved, its feature set has not. So besides the fact that Edge comes bundled on millions of Windows 10 PCs, it seems unlikely that users will choose it over the browser they're already accustomed to. But Edge’s extension woes, by...er, extension, potentially affect other apps within the Windows 10 ecosystem, as well. And gaming may be the highest-profile example of this. 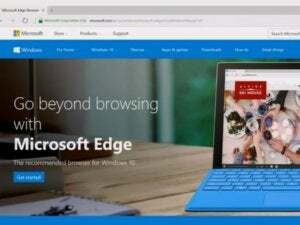 Consider Edge not as a browser, but as a Universal Windows App that can run on Windows PCs, tablets, Windows 10 Mobile phones, and the Xbox One. Most UWAs, like Mail and Calendar, are pretty blah, but Edge is an exception—it’s one of the more robust UWAs on the Windows platform. Mary Branscombe made the case last December that Edge is a good test case for UWAs in general and their limitations. All this has become more important as Microsoft has pushed to give UWAs a higher profile. 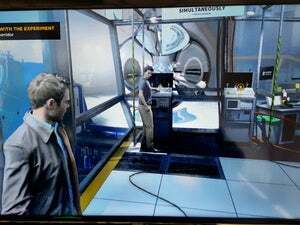 Games like Gears of War: Ultimate Edition; Killer Instinct: Season 3, and Quantum Break have traditionally been coded as Win32 apps that have been modifiable by third-party developers—and which have spawned viable spinoffs like Day Z. Now, they’re UWAs, and they’re also being used by Microsoft to raise the profile of the Windows Store. That rankled Epic chief executive Tim Sweeney, a games developer who blasted Microsoft this week, warning that a closed UWA platform could essentially shut the doors of the Store to third-party developers. (He refers to Universal Windows Platform apps instead of UWAs, but they’re essentially the same thing). Sweeney seems more concerned about where he’ll be able to sell his games, rather than the technical limitations of the UWP platform itself. But that’s the real problem for some gamers; Java-authored apps like the original Minecraft are moddable; the UWA version of Minecraft in Windows 10 is not. What we can see though, is that Microsoft’s beginning to address this. Xbox chief Phil Spencer told us that Microsoft is working to address the “moddability” of these UWA games. And we’re obviously hearing from another part of the company that Microsoft is finalizing this new extension capability within the Edge UWA app. So yes, a large swathe of users couldn’t care less about whether Edge adds extensions or not. But for those of you who want the PC to remain the open platform that you grew up with—and are concerned that it’s becoming more closed by the year—extension support is a step in the right direction.